As EU countries try to find the best way to deal with an influx of refugees that is unprecedented in recent years, the Gulf states have come under growing criticism for not providing more help for people fleeing Syria – an accusation these countries reject. Foreign ministers of the Gulf Cooperation Council (GCC) have officially asked for “a political solution to the Syrian crisis, and a worldwide effort to address the refugee crisis”. They have also stressed that “from the beginning of the crisis in March 2011, the Syrian brothers were welcomed in the Gulf countries and treated as residents; they could benefit from free health care, education and the right to work”. It’s not just a question of numbers, however. Kuwait, Saudi Arabia and the United Arab Emirates say that millions of Syrians have been allowed to enter their countries since Syria’s civil war began and yet despite the risks, many more Syrians seem to want to take their chance in Europe than remain in the Middle East. “[Gulf countries] didn’t provide us any help at all. Europe – they’ve opened their doors with the exception of some countries, – but most of them have been helpful,” Ali, an Iraqi refugee passing through Croatia told euronews. Leading NGOs which have worked closely with refugees are fiercely critical of the Gulf states. Amnesty International paints an equally damning picture, arguing that 3.8 million refugees from Syria, or 95% of the total number of those who fled the country as a result of the conflict, are in just five states: Turkey, Lebanon, Jordan, Iraq and Egypt. Lebanon bears the brunt of the load – it took on over a million refugees who now constitute over a quarter of the country’s population. The Syrian father of 3-year-old Aylan Kurdi, whose image drowned on a Turkish beach helped inspire a wave of global sympathy for refugees making perilous voyages to Europe, blamed Arab countries for failing to take in more Syrians. “I want Arab governments – not European countries – to see (what happened to) my children, and because of them to help people,” Abdullah Kurdi said as he crossed the border back to Syria to bury tiny Aylan, his 5-year-old brother and their mother after they drowned in the Mediterranean. The United Arab Emirates, Saudi Arabia and Kuwait deny claims that they are doing nothing, and insist that they are lending support, both financial and in kind. they have hosted over 100,000 Syrians by extending their residence permits or renewing their visas. over 17,000 Syrian students have been attending local schools since 2011.
they have financed projects throughout the region, providing food and shelter for Syrian refugees. One example is the Al Mreijeb Fhoud Refugee Camp in Jordan, where around 10,000 Syrian refugees are receiving shelter and care. A UAE-funded field hospital in Jordan, hosting surgery, cardiology and paediatric units, is said to have provided treatment for nearly half a million refugees. it has accepted about 2.5 million Syrians but they are not referred to as refugees “to ensure their safety and dignity”. They are not placed in refugee camps either. over 100,000 Syrian youngsters are attending local schools and colleges. it is funding a hospital for refugees in Jordan where thousands are being given the help they need. since the start of the Syrian crisis in 2011, it has relaxed visa regulations for Syrians already in the country and made it easier for them to apply to extend their stay. 120,000 Syrians are reported to be living in Kuwait. according to Kuwaiti NGOs, the country has donated €85 million in aid for Syrians. In total, the six Gulf states (Saudi Arabia, UAE, Kuwait, Qatar, Bahrain and Oman) say they have given over €800 million to help those suffering in the Syrian crisis. These claims have given rise to harsh criticisms from NGOs, despite the International Red Cross/ Red Crescent this year recognising the UAE as the world’s top humanitarian donor, in large part owing to its support for displaced Syrians in Jordan. And on the sidelines of the UN General Assembly in New York, Gulf states and the G7 group of leading economies have just pledged a further 1.6 billion euros for UN aid agencies that help Syrian refugees. lack of willingness to host fleeing Syrians as refugees, while expecting other countries to do so. “Saudi Arabia has offered no evidence to support its claims that it has ‘welcomed’ so many Syrians, and it appears that figure consists mostly of Syrians who have passed through Saudi Arabia, however briefly. Counting the number of Syrians that have entered and exited Saudi Arabia does not amount to taking in refugees from Syria,” Peter Bouckaert, the Emergency Director at Human Rights Watch told euronews. Why refugees want to go to Europe? The answer is simple: Europe has the best laws for them. None of the six Gulf Cooperation Council states has signed the UN convention on refugees which has governed international law on asylum since World War Two. The convention defines the status of refugees and the duties and rights of governments. In practice it means that there are no standardised procedures to deal with large numbers of people arriving from abroad seeking help. Critics say that many of the Syrians cited as having taken refuge in the Gulf states are in fact affluent citizens looking to sit out the war in comfort, rather than fleeing families forced out of their homes. The application procedure and benefits may differ from country to country (which is one reason why so many Syrians are focussed on getting to Germany or Sweden rather than staying in Hungary, Austria or Denmark) but the overall principle remains the same. Even when refugee status is not granted and a migrant does not gain access to benefits, the application process may take months or most likely years during which the person may remain in the country and later become eligible for a work permit, residency and eventually citizenship. All this guarantees not only a right to work and a roof overhead but primarily a chance to live in a safe environment where migrants can expect to be treated with respect and their children have a chance to integrate into society. Crossing into countries neighbouring Syria, which do not have a recognised refugee status,may be possible but often means staying in refugee camps with no jobs, meagre living conditions and no prospects. Outside the camps, life is also tough with menial labour the best hope for many. In addition, non-residents often have limited rights to everyday things like owning a car or even having a bank account, which makes refugees vulnerable to suspicion and abuse. Culturally, the Gulf states rarely grant citizenship to foreigners, even wealthy immigrants who work for years in senior positions. In this way, these countries say they can protect their native population, often small in number, and their right to benefits from valuable natural resources. Critics argue that oil-rich Gulf states rely heavily on cheap labour provided by foreign migrants, many of whom work semi-legally, in difficult conditions (hundreds die every year on construction sites), are paid little and have few rights. Opening up a window of opportunity for them to extend these rights would upset an existing balance that is comfortable for the prosperous strata. 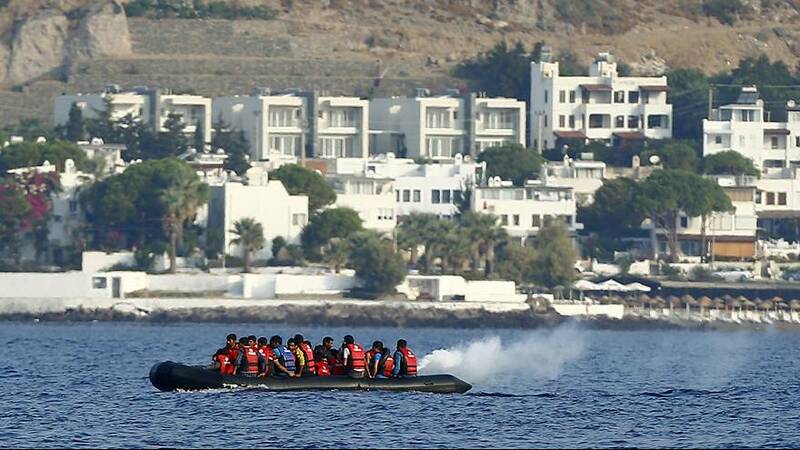 The NGO ‘Refugees International’ says that many Syrians are living in the Gulf states as “de facto” refugees: some have fled their motherland recently; some arrived before the conflict and were unable to return. As to the refugees who have been “welcomed”, it is argued that they were mostly wealthy Syrians who were able to “invest” in local economies. There is, however, growing pressure on the Gulf states to fulfil their duty and accept more refugees by granting them status and rights similar to those offered by the European countries. These calls are backed by the UN which now recognises that the only response to the unravelling refugee crisis should be a global one. Why aren’t rich Gulf states welcoming Syrian refugees… or are they?